Hi, I am Laura Lopez. As an entrepreneur, I provide keynote speeches, customized training and executive coaching on leadership and branding. I believe that achieving success requires effective leadership and branding skills. In my business, I help people improve their abilities in these areas. As seen on the "Today Show'" Laura Lopez has been leading teams and achieving results for major Fortune 100 Companies since the early â80s. 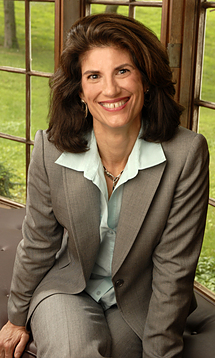 Most recently, Laura was a highly successful Vice President at The Coca- Cola Company. As a speaker, author and consultant, Lauraâs knowledge and experience helps clients build more sustainable personal and professional results to achieve greater levels of success. Through the optimal combination of her expertise in corporate business leadership and her experience in parenting, Laura provides a unique perspective on leadership. I help businesses of all sizes and industries achieve superior business results through more effective leadership and branding. I am a brand consultant and leadership expert. I provide keynote speeches, workshops and coaching. I am an award-winning author on leadership which is often the basis of my work in leadership. In my branding work, I draw on my functional expertise in brand building with such great brands as Coca-Cola, Minute Maid and Odwalla. Marketing, Branding, Leadership, Advancing Women in leadership, Advancing minorities in leadership, Painting, Running and Travelling to foreign destinations.